Hi! 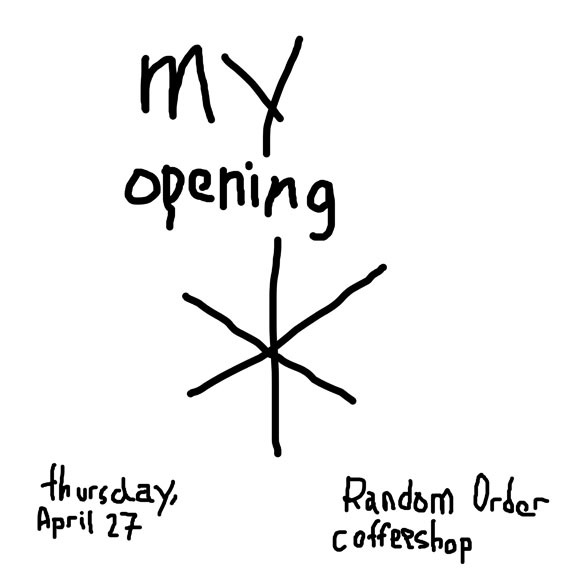 I’m going to be hanging some stuff I made up at the Random Order coffeehouse this thursday (oh crap that’s tomorrow) come check it out! if you can’t make it on thursday it’ll be there for about a month. here’s a doodle I just did about the opening. sorry if it’s gross to you. here’s Random Order’s website.